Going through a divorce in your adult life even if the marriage had lasted for just a year is a devastating and traumatic event for even the strongest of men and women. This is definitely not the same as a teenage break-up where you cried for a week, read quotes about love, listened to a sad song or two and got over it. If only it were that easy. Overcoming a traumatic divorce is a monumental feat of pain and bravery for most adults. It takes a great deal of emotional analysis, self-analysis, overthinking, scourging through one’s memories, having a positive mindset and yielding discipline and patience in your life to get over your significant other. At the end of the day, you lost a bond that joined you together with another human being for the rest of your life. This means that your plus one for life, your shoulder to cry on, your forever best friend, a partner in crime, is now separated and estranged from you and things can never go back to being the same way as they were before. My divorce which happened when I was about 27 years old. In my wildest imaginations, I never expected something like this would happen to a person like me; since I have always been wary of conflict, submissive to the max, caring and giving in the role of a wife, or so I believed. It took me a great deal of contemplation and self-analysis to realize that even though two people can be the nicest of individuals yet their thinking and approach to life can be entirely different from each other. So much so that they cannot continue to live together. Despite the fact that they really love one another, two people can still not belong together, and there is always one person who cannot bear the toll that the relationship is taking on him/her. Usually, it is that same person who finally decides to bite the bullet, call it quits and move on. This may be the same person who is able to move on sooner in search of greener pastures, and the one who has invested more is left grieving the past and what could have been for a more extended period of time. It is part of human nature to feel the sting of abandonment or betrayal manifold when they had been wholeheartedly investing themselves in the relationship or the marriage. A marriage may be dissolved, but that does not mean that a man or woman’s interest and enthusiasm in life must wither away too. 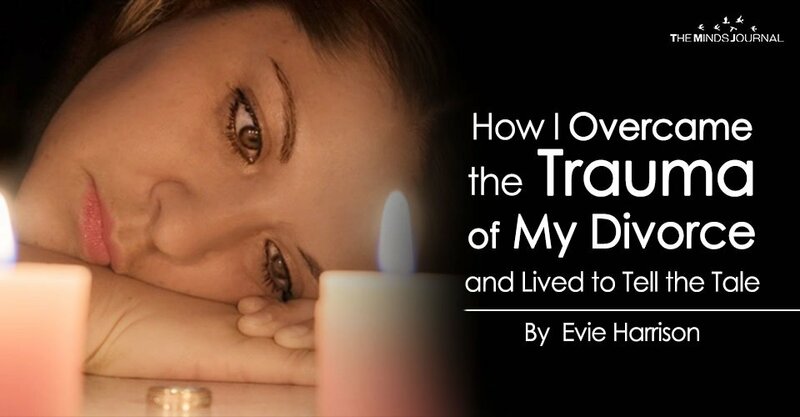 These are some of the steps I took to heal and overcome the trauma I went through at the end of my marriage and at the onset of my divorce. My first step in healing was to understand that what I had gone through was an ordeal, and it was traumatic in ways more than one. I had to come to terms with the fact that I had been traumatized and in the wake of a tragedy which is why my reactions to normal everyday things also altered. Trauma can be of various types and if you are going through a divorce can at times activate all of the basic types of trauma, i.e. acute trauma, complex trauma and post-traumatic stress disorder. Evie harrison is a blogger by choice. She loves to discover the world around her. She likes to share her discoveries, experiences and express herself through her blogs. Currently, she is associated with Lifehack team.